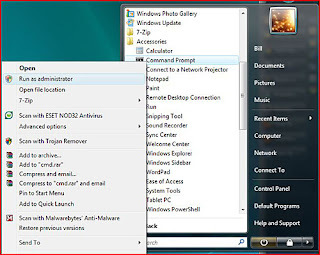 This article details how to add a limited user or administrator account to a Windows 7 system. This can be useful when adding users to the system and will allow each of them to have their own customizable interface. Log on to an administrator account. NOTE: If unsure which is an administrator account, follow the next two steps. 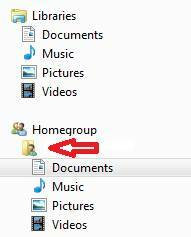 In the Search Programs and Files box, type Add user. Click on the Add or remove user accounts option at the top. Click on Create User Account in the middle of the newly opened screen. NOTE: If this option is not available, that means the account that is in use is a limited user account. Select Standard User or Administrator. Read the criteria on the page to determine which should be used. Click on Create Account in the bottom right. The Account is now created. If a password is desired, click on the newly created account. 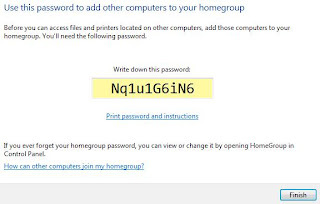 Click on Create a Password and fill in the information. First, you will need to open ESET NOD32 or ESET Smart Security. Click on the Start button in the bottom left corner of your screen. 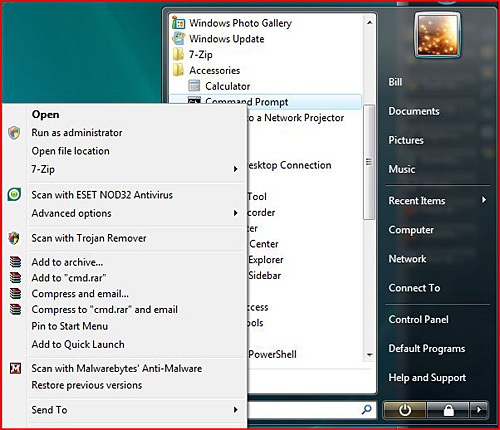 Select the ESET folder and open the ESET Antivirus program or Smart Security program. This will open the Protection Status page. The date on the “License valid until” line is the date your ESET product will expire. NOTE: If you just renewed, activated, and entered your new username and password, then this line may not appear. That is normal. It will be displayed after the program does an automatic update. Click on Start, then All Programs, then Accessories. 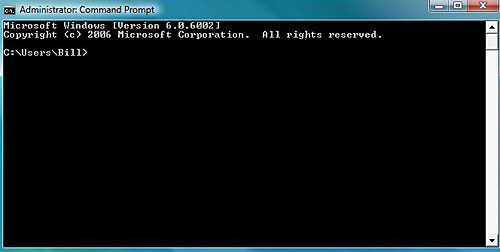 Now you should get a command line prompt, allowing you to run text commands with administrator privileges. This guide shows you how to setup a Tenda router as a repeater. These instructions require that you already have a working Tenda router. If you don't have your Tenda router configured, consult the Tenda documentation on setup. For the purpose of these instructions, the router that is hooked up to the modem will be identified as "Router 1", and the second router will be identified as "Router 2" which will be setup as the repeater. 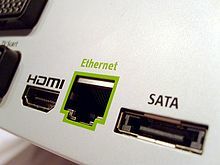 Before starting, you need to have a wired connection to both routers using a computer and any available yellow port. Connect the computer to Router 2 using an Ethernet cable. Go from the computer to the yellow port on the router. Once connected, open your web browser and type in the address bar "192.168.0.1". Press Enter. 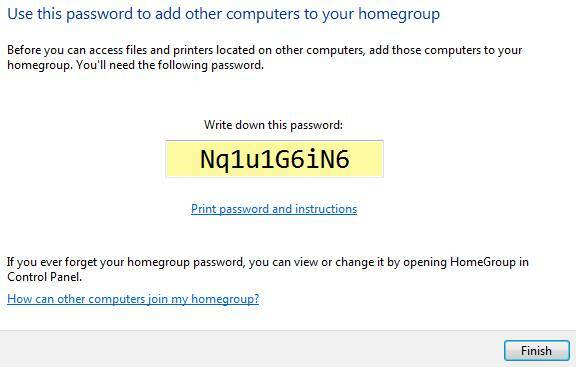 You will be prompted for a username and password unless they have been changed from the default. The default username and password is "admin" without quotes. Under SSID, change Tenda to Tenda 1 to identify it as Router 1. IMPORTANT: Make note of which channel the router is using. Both routers need to be using the same channel. You can change the channel by using the drop down menu and clicking Apply to save the change. 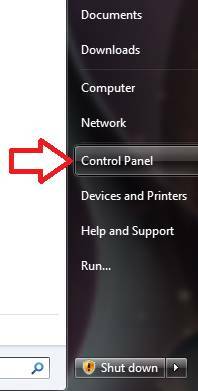 Click on WLAN settings from the menu on the left side. The sub categories will be revealed. Click on WDS Settings. In the WDS settings menu, select Lazy Mode from the drop down menu. Click Apply. Next, configure the existing router that is currently connected to the modem. Start by connecting the computer to the router using any available yellow port. Open up a new web page and type in "192.168.0.1" in the address bar. Use the term "admin" for the username and password. Select WLAN Settings, then WDS Settings. Select Repeater from the drop down menu. Choose Open Scan. All of the available routers in your local area will be displayed. Select Tenda 1 router, then click Apply. Direct upgrade from 32-bit (x86-based) operating system of either Windows XP, Windows Vista or Windows 7 to 64-bit (x64-based) Windows 7 OS is not a supported upgrade paths to Windows 7. When the user tries to run 64bit setup.exe Windows 7 installer from within 32bit operating system, the following error message will occur. So how to “upgrade” from 32-bit OS to 64-bit Windows 7? Unfortunately, there is no direct way to perform an in-place upgrade from 32-bit operating system such as x86 Windows XP or x86 Windows Vista to x64 Windows 7, with existing application programs and data retained. The only way to install x64-based Windows 7 on existing 32-bit Windows installation (or vice versa to downgrade from 64-bit to 32-bit OS), is to do a clean install, which indicated by “Custom (advanced)” installation during set up Windows 7 installation wizard. Backup and save existing application settings and data to migrate to new system with Windows Easy Transfer. 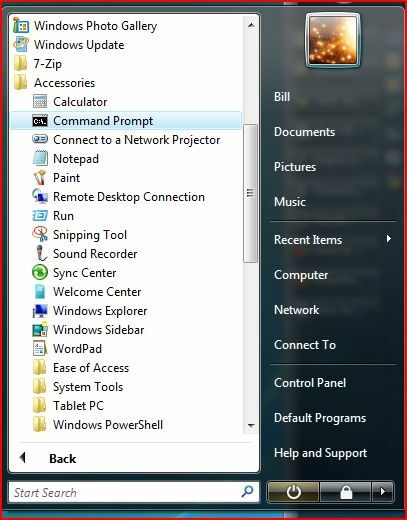 Note that installed programs won’t be migrated or ported over to new Windows. Alternatively, just manually do a backup and copying of all data files and personal documents, photos, images, videos, bookmarks and etc. Boot and start up computer using the 64-bit (x64) Windows 7 installation DVD disc media or a Windows 7 install USB key flash drive. Setting correct device boot sequence may be required at BIOS. Check out how to access BIOS. User who has Windows 7 ISO should burn the image to a physical disc with a CD/DVD optical burning software such as Nero and Ashampoo Burning Studio, or uses official Windows 7 DVD/USB ISO Download Tool to create bootable Windows 7 USB flash key drive or write to DVD. 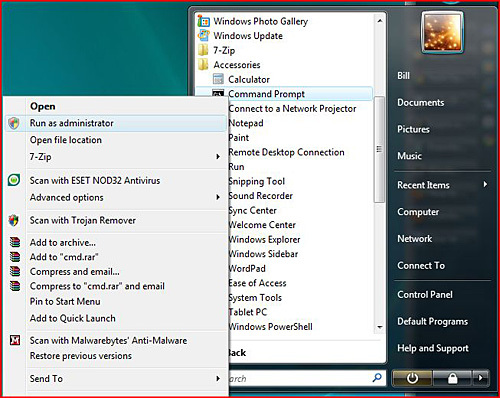 In Windows 7, it’s also possible to burn the ISO direct from Windows 7 Explorer without third-party software. User with x86 setup1.box and setup2.box ESD Windows 7 installation files or x64 setup1.box and setup2.box ESD Windows 7 installation files should follow steps to create and make a bootable ISO prior to burning. The user is free to create, delete, modify, create or format partition volumes and hard disk drives before continuing the setup installation of Windows 7. If user choose to install over a partition or drive with existing Windows, user will be informed that current installation of Windows will be moved to Windows.old directory. Tip: For end-user with a Windows 7 upgrade license, media and product key, an existing installation of Windows must exist for the upgrade version product key to be able to entered and activated properly. 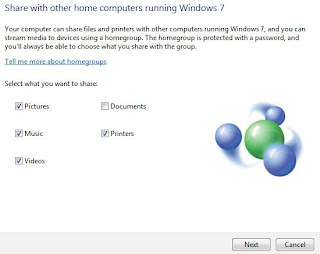 Thus, do not format the hard disk drive prior to loading the Windows 7 setup even if you intend to clean install, or else user has to use hack to complete the clean install the Windows 7 Upgrade. 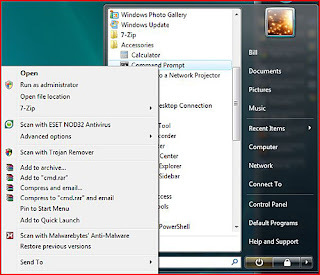 The user can create or delete hard disk drive or partition during the setup via Custom (advanced) » Drive options (advanced) option (note: a 100 MB system reserved partition may be created by Windows 7 Setup), or let Windows 7 install wizard backup the existing configuration to Windows.old folder, and then delete and wipe clean the whole partition volume prior to install Windows 7. - You can’t upgrade 64-bit Windows to a 32-bit version of Windows. To upgrade, obtain a 64-bit version of the installation disc, or go online to see how to install Windows 7 and keep your files and setting. Increasing the productivity and functionality of your desktop computer doesn’t have to be limited to how many devices you can plug into the ports. Many motherboards and cases provide expansion slots that can be used to install additional capabilities like updated Graphics, TV-Tuners, Hi-Def Audio cards, and Video capture. This guide will show you how to install an add-in card to your computer. Note: Opening up a computer is not without some risk. 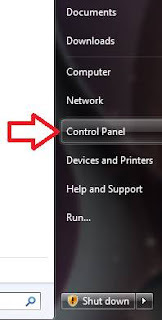 Before beginning, make sure to completely power off and disconnect your computer from the wall and all other devices including the monitor, mouse and keyboard. Also remember to use an anti-static wristband, or mat to avoid Electro Static Discharge (ESD) which can damage your components. Locate the slot in which you want to install the card. 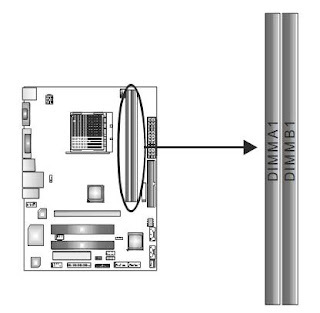 The diagram below shows a general location for PCI slots, and it may vary by motherboard. 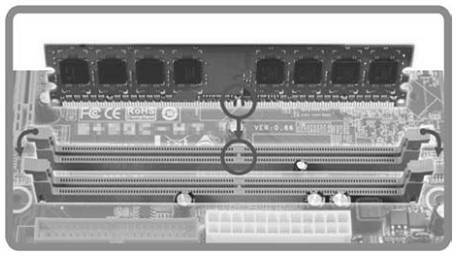 There may also be PCI-Express slots on the system, which will be labeled on the motherboard and in the manual. Remove the metal expansion slot guard from the back of the case. Some are attached by soft metal and can be bent and removed, while others are attached with a screw at the top and will need to be removed that way. For more information, consult the manual that came with your computer case. Align the card with the notches in the slot and insert the card vertically in to the slot, with the external ports aligned with the expansion slot on the back of the case. Moderate force may be necessary to get the card all the way in to the slot. Screw in the metal bracket on the end of the card using the notch on the top aligned with the hole in the computer case. Some computer cases use a plastic latch system to hold the card in place. If this is the case, consult the manual that was attached with your computer case. That’s it! Your add-in card is now installed. Remember to consult the card manufacturers information on installing any software that came with the add-in card when you get back in to Windows. CrossFire, also known as CrossFireX is a platform innovation that allows intelligent scaling graphics performance by combining multiple graphics cards in to a CrossFire specific motherboard. CrossFire only works with ATI based cards that are manufactured for CrossFire use. CrossFire uses proprietary ATI software and a dedicated logic board in each graphics card to render the on-screen graphics or display using two cards with parallel processing, this can increase performance in games or video editing by a wide margin. 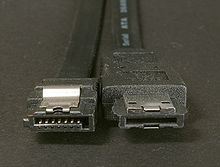 Current CrossFire configurations use a ribbon-like connector attached at the top of each graphics card inside the computer to allow communication and data transfer between the two cards. To use CrossFireX, you need a CrossFireX certified motherboard and CrossFireX Capable graphics cards. It is also necessary to have a power supply capable of supporting the graphics cards. What is NAS or Network Attached Storage? Network Attached Storage/Server or as known as NAS is simply a storage device connected through a local network connection. For example, if a home office has several PCs connected to the same LAN, you can perform regular backups of each system to the same storage location. For both security and a disaster plan, it is critical that you have current copies of your operating system and personal files made on a weekly or at least a monthly basis. NAS is a great solution, because it offers larger storage capacity plus can be access from any PC within the local area network. There are several options for network attached storage offered by Buffalo Technology, Seagate and Western Digital. Each NAS comes in a various size capacities ranging from 1Terabyte to 8Terabyte which provides 1000 – 8000 Gigabytes of storage capacity. In addition, each server has built-in file encryption and auto-backup features. These servers are also multi-compatible with most operating systems including Windows, Mac and Linux, and can connect up to 10 computers at once.